1. 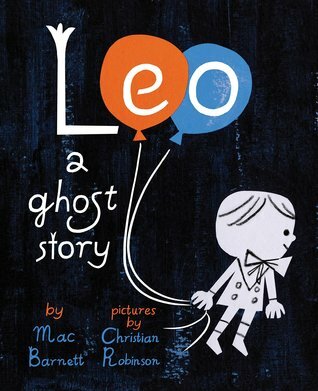 Leo: A Ghost Story by Mac Barnett and Christian Robinson. 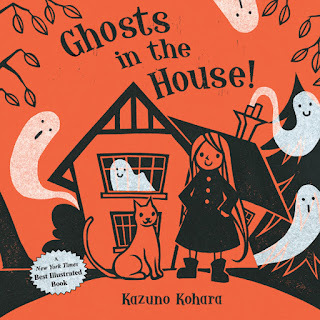 My family loved this book so much we did a huge family craft inspired by the book. 2. Ghosts in the House! by Kazuno Kohara. This book helped inspire designs during our ghost stamping activity. 3. 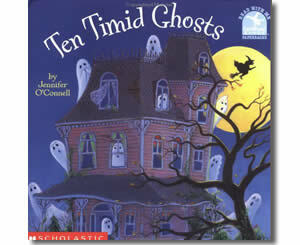 Ten Timid Ghosts by Jennifer O'Connell. 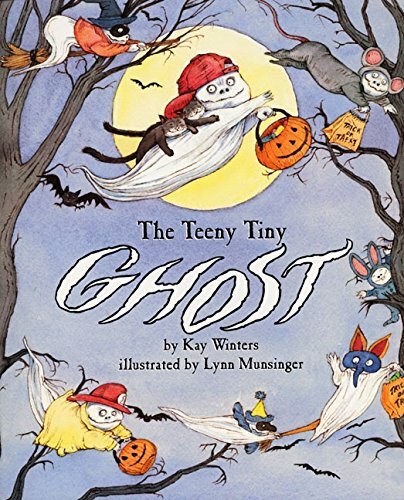 A classic ghost book! 4. 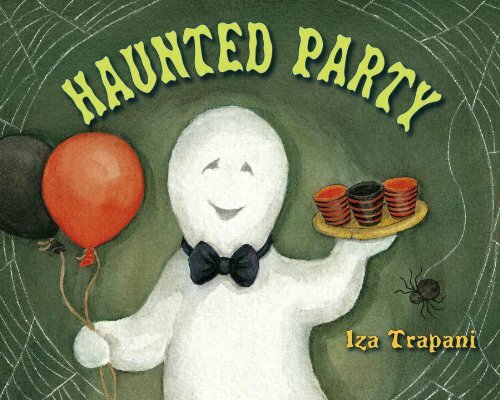 Haunted Party by Iza Trapani, one of our favorite author-illustrators! 5. 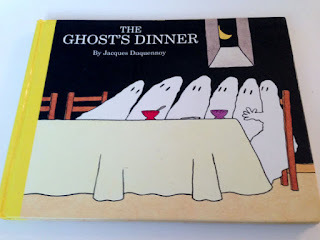 The Ghost's Dinner by Jacques Duquennoy. Fun! Love the salad and cheese ghosts! 6. The Teeny Tiny Ghost by Kay Winters and Lynn Munsinger. 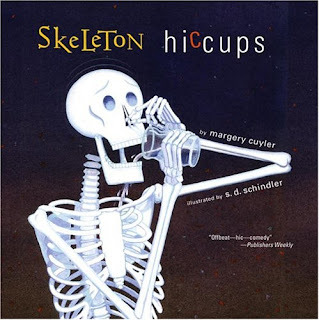 My youngest son loves this whole series! 7. Skeleton Hiccups by Margery Cuyler and S.D. Schindler (There is a ghost in this book!). 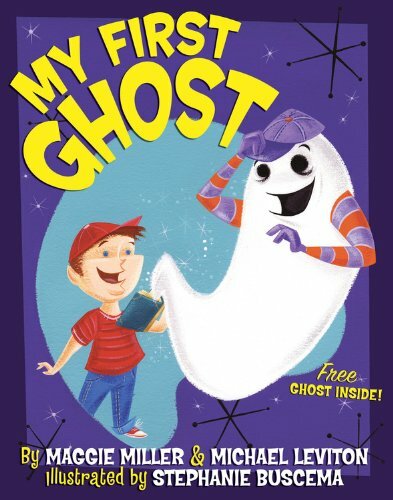 Without this book I wouldn't have written THREE GHOST FRIENDS! 8. My First Ghost by Maggie Miller, Michael Leviton, and Stephanie Buscema. I just bought this book. 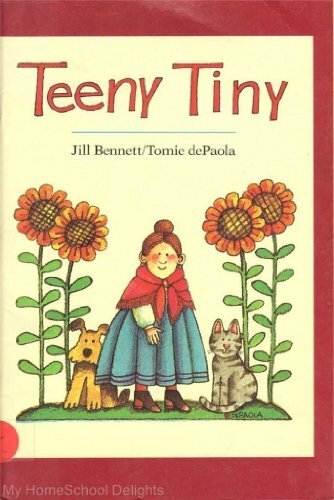 I haven't read it to my kids yet, but I think they are going to love it. 9. Teeny Tiny by Jill Bennett and Tomie dePaola. 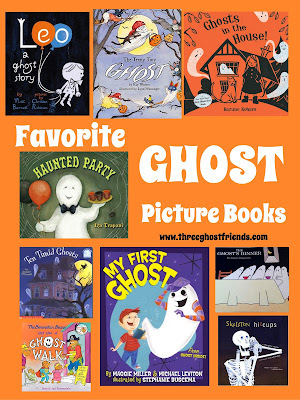 There are ghosts in this book too! My kids love this book because it is just a little bit scary. 10. 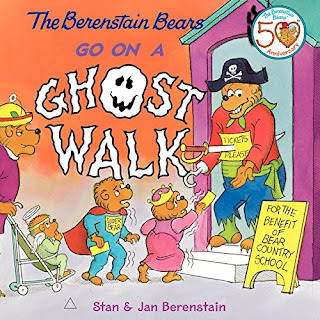 The Berenstain Bears Go on a Ghost Walk by Jan and Stan Berenstain. 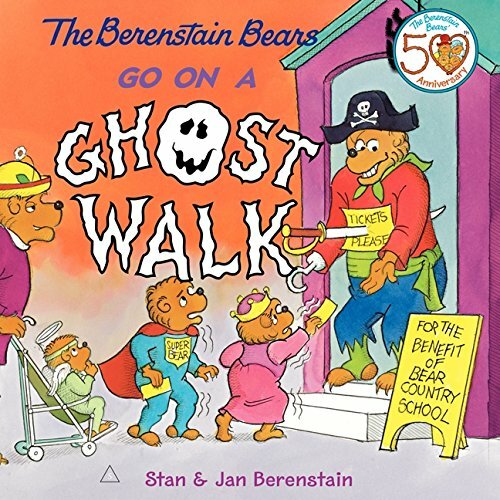 There are many Halloween Berenstain Bears books, but this is our favorite. 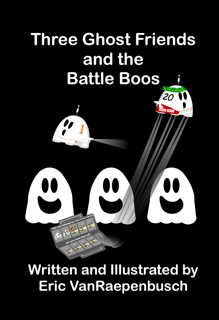 Three Ghost Friends and the Battle Boos is the latest book in the series! 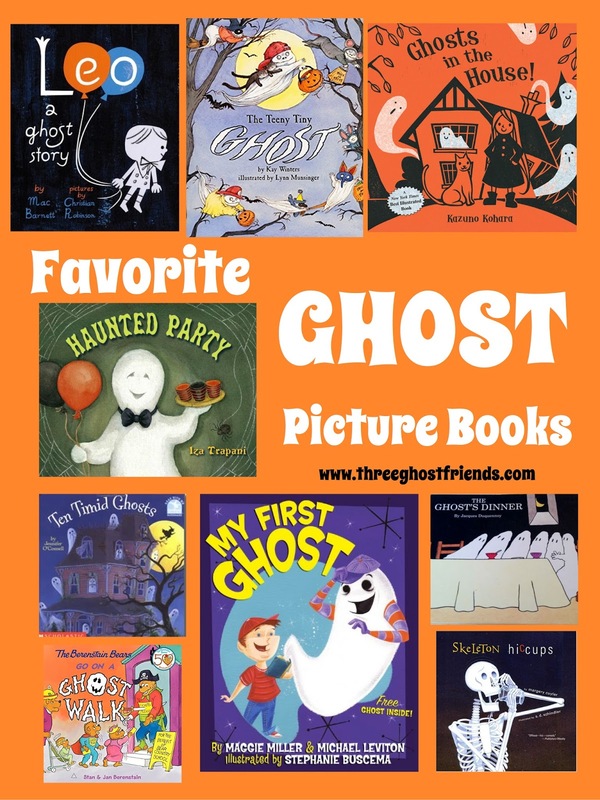 There are lots of FREE printables and activity ideas for the book too! Oh wow! Ghost made up of Lego. That is so cute. Amazing pictures. Halloween logo theme would be fantastic. Lovely pictures. Thank you for sharing.